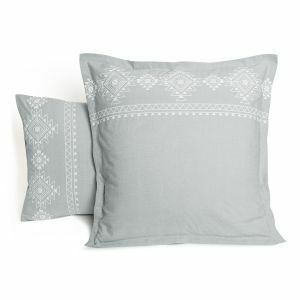 The Azteca fitted sheet is a plain gray, matching the Azteca collection available here. 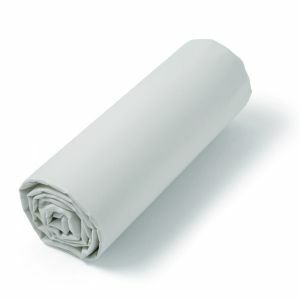 This sheet is in 80 thread cotton percale, which is a high quality material, resistant over the time. Its corners are provided with 27cm wide cups for easy donning on your mattress. This Tradition des Vosges product has been created and crafted with know-how, to provide you with quality bed linen, and accompany you for the sweetest nights possible. Fitted sheet in 80% cotton Percale, available in 2 sizes.Fitted sheet in 80% cotton Percale, available in 2 sizes.